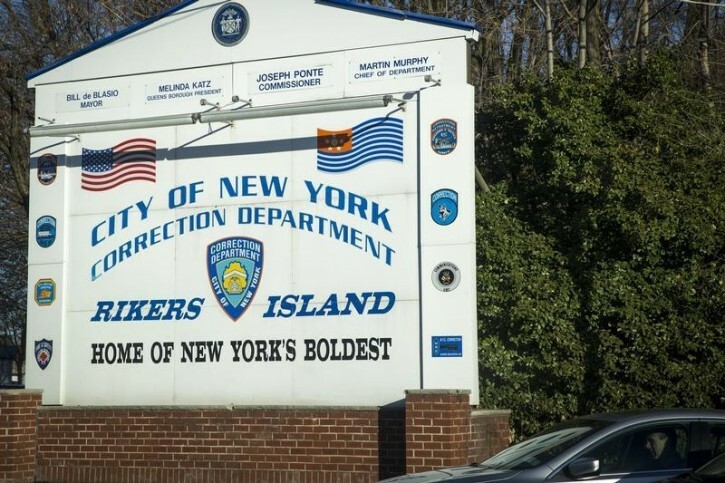 New York - New York City officials say 16- and 17-year-old inmates will be moved off the troubled Rikers Island jail complex and into a Bronx youth facility. Democratic Mayor Bill de Blasio (dih BLAH’-zee-oh) announced the $300 million, four-year plan Thursday. It’s subject to land use, planning and community approval. New York and North Carolina are the only two states that automatically prosecute 16- and 17-year-olds as adults. Legislative efforts to raise the age of criminal responsibility statewide have failed. Almost all the 188 teens held on Rikers are awaiting trial. That’s down from 337 in 2013. Federal prosecutors have urged that the teens be moved off Rikers since a 2014 investigation found they were routinely abused. De Blasio says age-appropriate housing will help teens return to the right path.